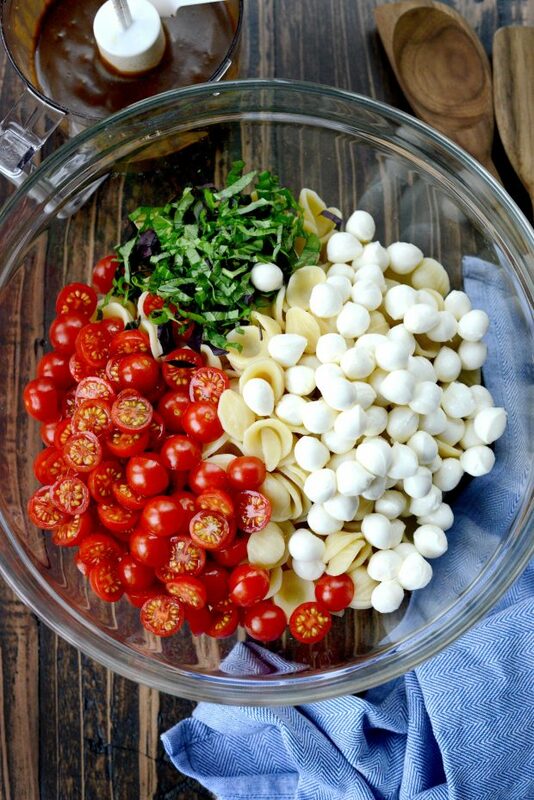 One of my favorite salads is this caprese pasta salad. Fresh tomatoes, basil and mozzarella tossed int a balsamic dressing. Pretty much my favorite savory combo of flavors everrrrr. Which precisely is the reason I grow basil and tomatoes every single summer. My herb garden and tomato plants are like the only growing thing (besides my children of course) that I’ve been able to manage without killing. True story. The gorgeous large-and-in-charge hanging flower basket? Dead just after 3 weeks. Sometimes I’m a lazy waterer. I just had to come to accept the fact that I don’t have much of a green thumb–it’s basically black– but thank goodness my herbs don’t seem to mind. My favorite herb I grow is basil. Obviously. Every summer I love to watch my plant grow to an enormous, towering plant. I’ll sit on my front porch to watch the bees doing their thing and I’ll daydream about what I’m going to make with all those leaves. Top on my list are things like the pesto (from my cookbook), crispy basil chips and lemon basil hummus. If you’re feeling bold, perhaps give my basil + chocolate chip ricotta pancakes a whirl? 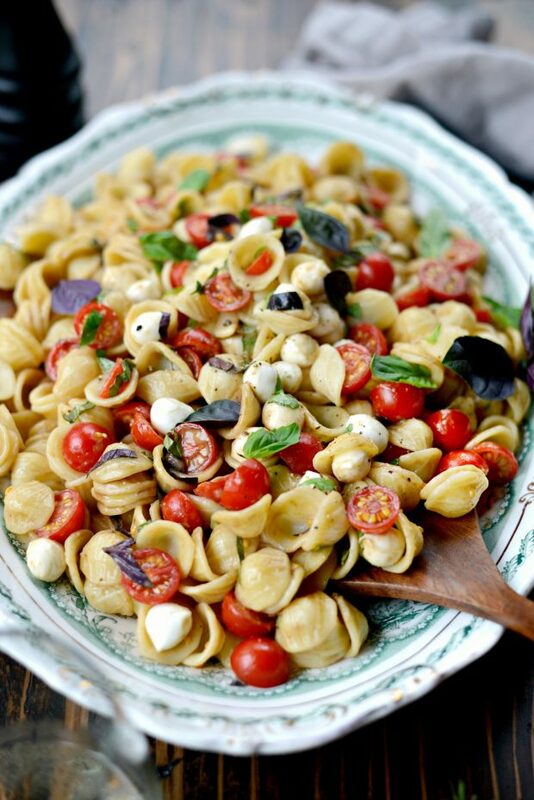 But at the tippy-top of my favorite recipes is this caprese pasta salad. 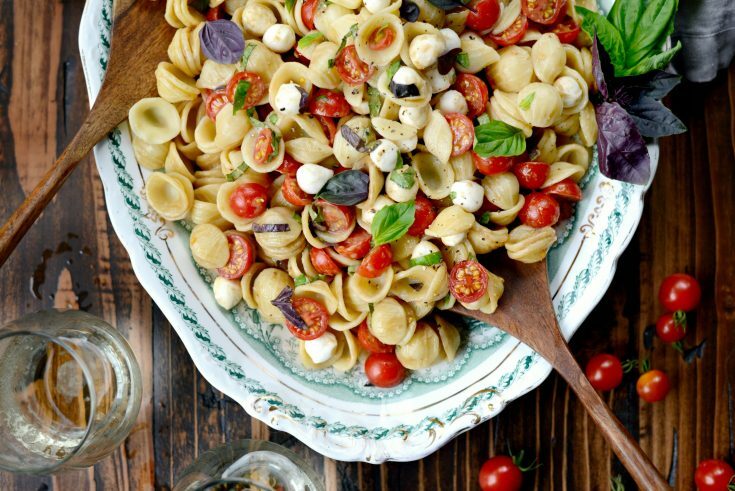 Let us discuss the deliciousness that is this summer pasta salad, shall we? It has all the classic Caprese flavors- tomatoes, basil and mozzarella- with a quick, easy and creamy balsamic vinaigrette. I make this pasta salad to go a long with this grilled chicken allthetime. It’s always the perfect addition whether it’s for our summertime Sunday dinner or as a standalone light lunch throughout the week. The hardest part, and I use that term loosely, is cooking the pasta. I just bring a large pot of water to a boil, dump in a palm-full (about a heaping tablespoon) of fine sea salt and then add in the pound of pasta. 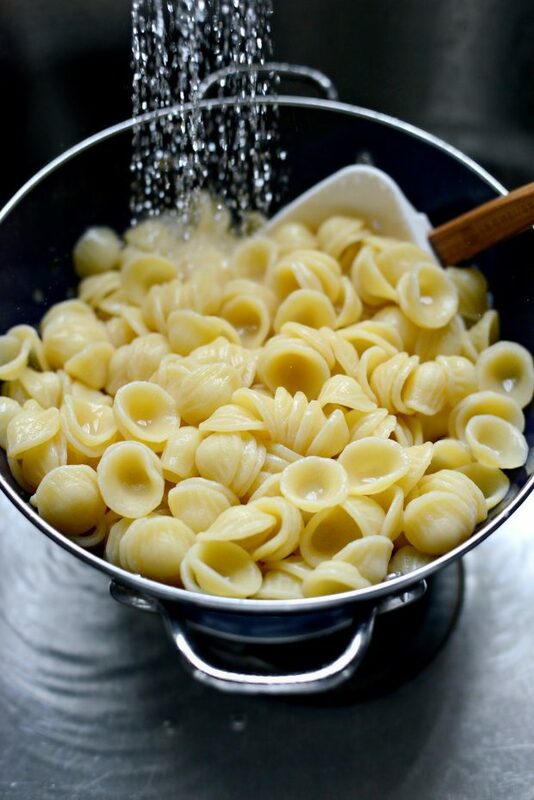 It’s a good idea to stir the pasta every couple of minutes because these little guys like to stick together or worse, stick on the bottom of the pot. Once fully cooked, drain and instantly rinse with cold water. Doing this rinses off any of the starch clinging to the pasta, which in turn leads to the pasta sticking together. It also halts any further cooking and cools the pasta down so you can quickly make the salad. I only ever rinse pasta for cold salads. I believe it’s considered a culinary sin otherwise. 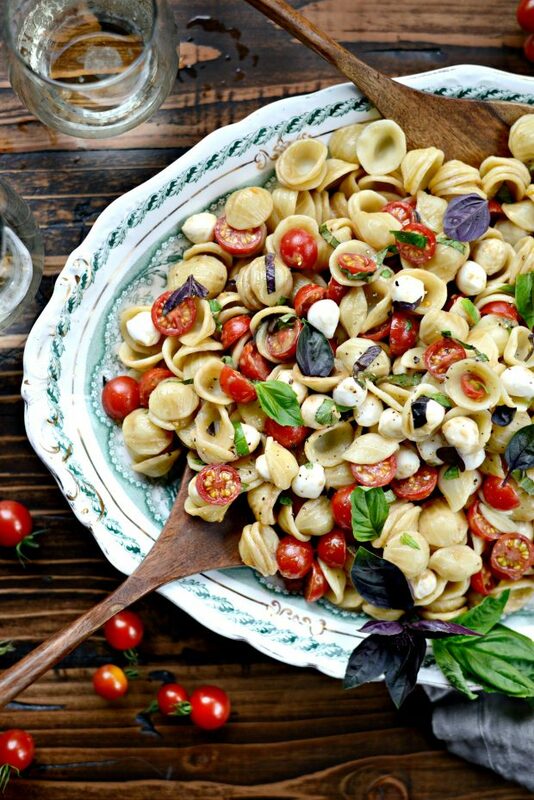 Once the pasta has cooled down, drain it of any excess water and toss into a large bowl with halved cherry tomatoes, pearled mozzarella and about 1/4 cup of thinly sliced fresh basil. 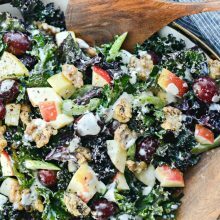 Toss the pasta salad with the dressing, taste and season with kosher salt and freshly ground black pepper according to what your taste buds like and serve. 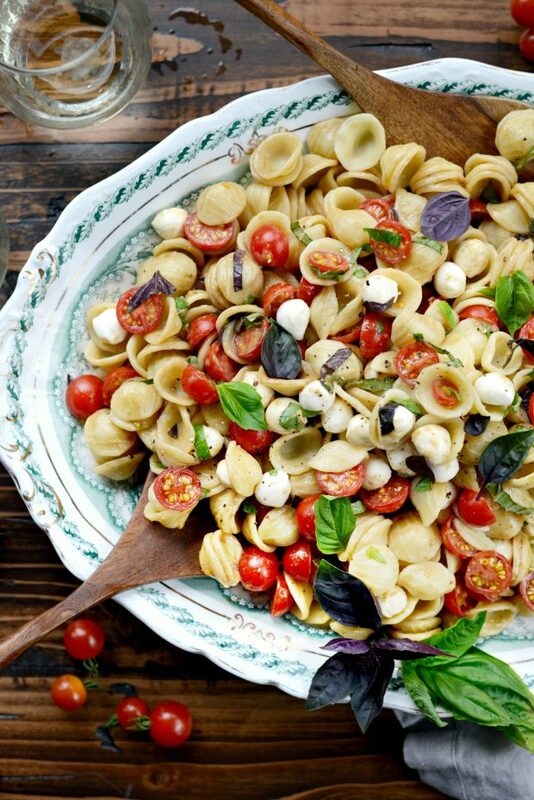 This caprese pasta salad can be made a few hours in advance. However, if making this a day in advance, then I would toss everything together, leaving off the basil and dressing and refrigerate. Once ready to serve, I would add the basil and dressing and serve immediately. 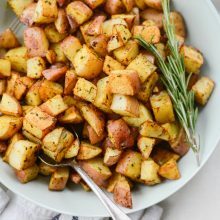 So simple, so flavorful and super easy! My plant is busting at the seams with tomatoes so this salad is a great way to use up a lot of those cherry tomatoes. And is also the perfect thing to bring to a potluck or party- because, it makes a lot annnnnnd who doesn’t love Caprese? 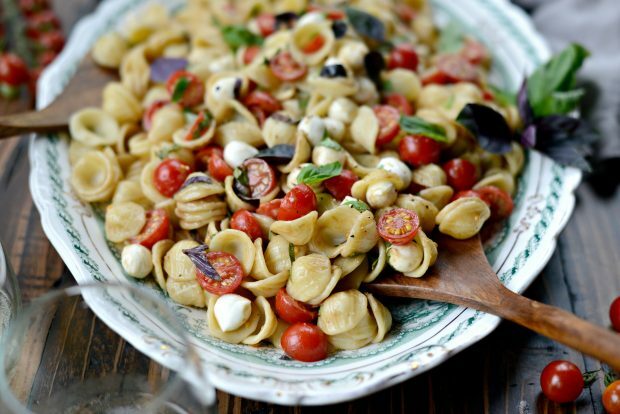 This caprese pasta salad is where it’s at you guys! Enjoy! 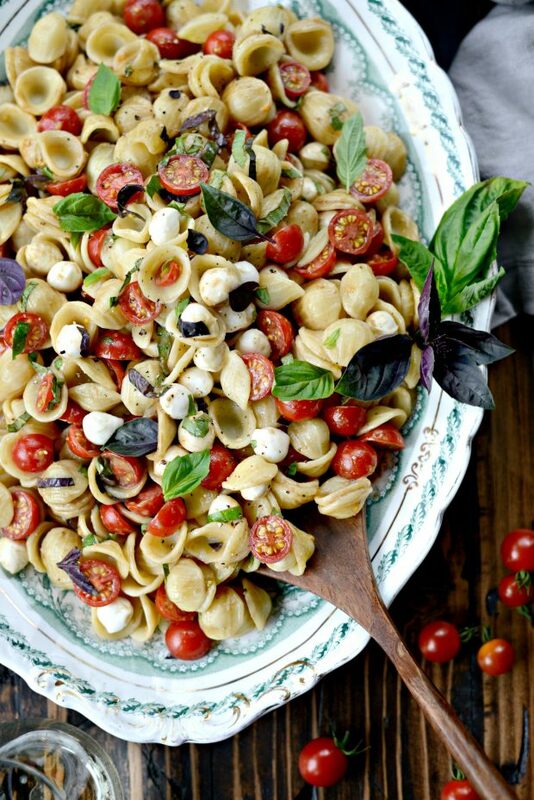 And if you give this Caprese Pasta Salad recipe a try, let me know! Snap a photo and tag me on twitter or instagram! 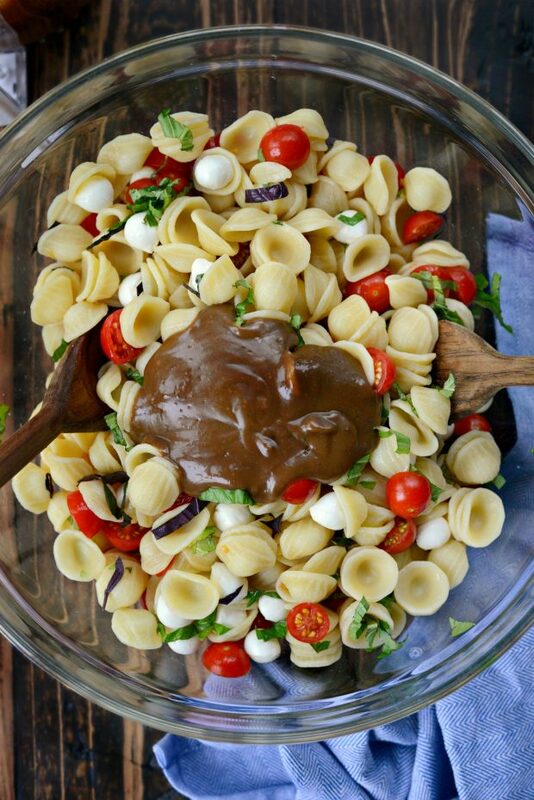 It has all the classic Caprese flavors- tomatoes, basil and mozzarella- with a quick, easy and creamy balsamic vinaigrette. I make this pasta salad to go along with grilled chicken or as a standalone light lunch throughout the week. This recipe makes plenty, so bring it to your next gathering! 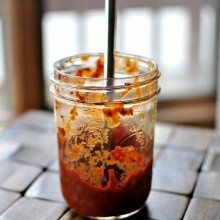 Add in a palm full of sea salt (about a heaping tablespoon or two) to the water and add in the pasta. Follow the package directions, cooking the pasta to al dente, stirring often to avoid the pasta sticking. Once cooked, drain and rinse with cold water. 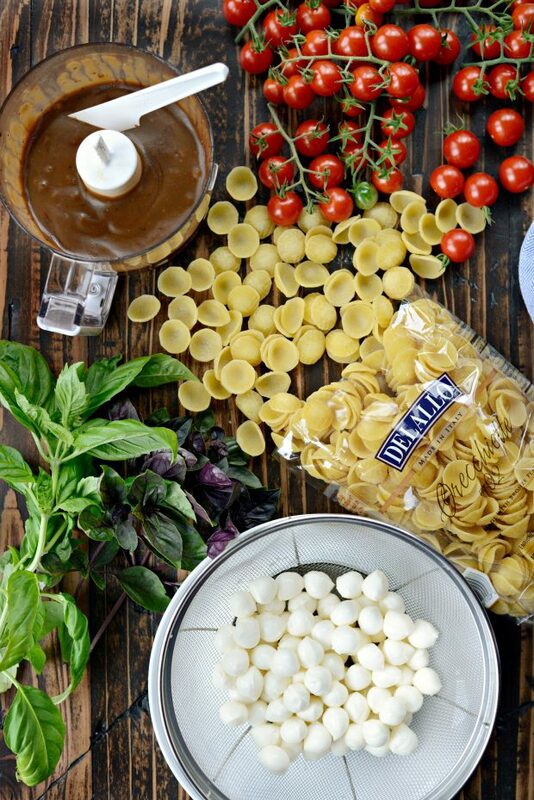 In a large bowl, toss together the cooked and cooled pasta, tomato halves, mozzarella and basil. Add in desired amount of the balsamic dressing and serve immediately or chill up to 1 to 2 hours. Those looking for the original dressing recipe: combine 2 cloves of garlic (finely minced or squeezed through a garlic press and 1/3 cup balsamic vinegar. Whisk while pouring in 3 tablespoons olive oil. If making this a day in advance, I would toss everything together leaving off the basil and dressing and refrigerate. Once I am ready to serve, I add the basil and dressing (salt and pepper if needed) and serve immediately. This looks so yummy! What brand of dressing do you use? 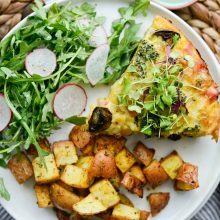 Laurie this looks amazing just pinned must try! 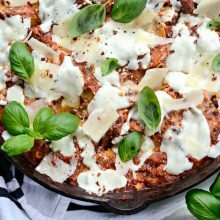 I made your old recipe several times for my family and for group things, and it was always a hit! It was one of those few dishes that there were no leftovers afterwards to take home! So I was eager to try the new dressing, but I feel that it tastes too much like vinager and not balsamic tasting enough…and it was also the first time the dish wasn’t finished off. 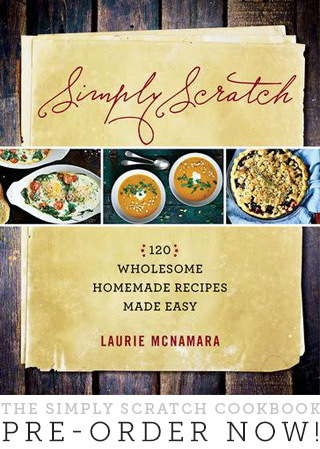 Thanks for sharing your recipes and I’m looking forward to trying other of your kitchen creations! Hi there! Was wondering how many this feeds? 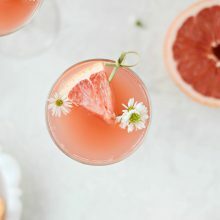 I’m making for a party of 15 or so and was wondering if I should double it. Thanks! Hi Tessla! I would double it just to be on the safe side. Enjoy! I loved your old recipe, made it a ton of times. This was my first time trying the new dressing. Delicious!!! You are the best, thank you for the great recipes!! Aw thank you, Krissy! I’m so glad!